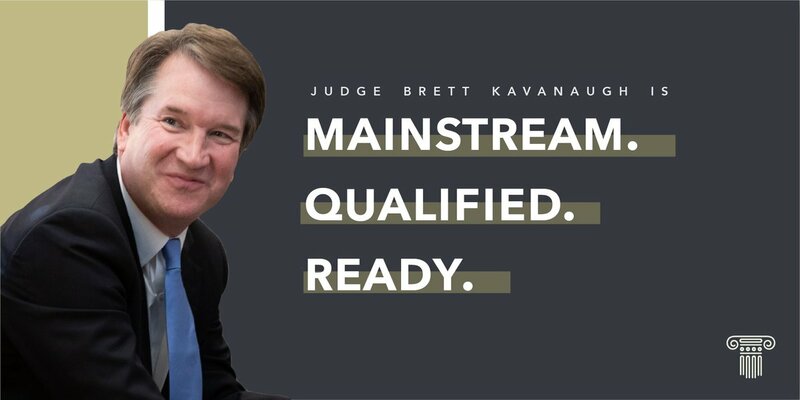 As Judge Kavanaugh’s confirmation hearings conclude…. My family was on vacation through Thursday, so what follows are some thoughts based on reading a great many accounts but without having the advantage of being at my desk refreshing my information feeds every few minutes. Even with just that, I could still offer ten preliminary thoughts instead of the following three of what has taken place so far in the confirmation fight over Judge Brett Kavanaugh. #1. What a zoo/premonitions of what Democratic control of the Senate would mean. There are critical elections coming this November 6. Control not only of the Senate but of the House is at stake. What we saw and are seeing from the likes of Democratic Senators Cory Booker of New Jersey and Kamala Harris of California—orchestrated, of course, by Senate Minority Leader Chuck Schumer of New York–is exactly what the nation would witness if the Senate were returned to Democratic hands. It is, for the moment, irrelevant whether their preposterous showmanship was a failure which most everyone agreed it has been. Harris’s failed gambit was a companion, perhaps, to the hoax that Sen. Cory Booker (D-NJ) had pulled earlier in the day, when he claimed to have released confidential documents about Kavanaugh’s position on racial profiling. The documents, it turned out, had already been cleared for release — and they showed Kavanaugh opposing racial profile in airport security. The common denominator to these and many other duplicitous slams was to hint that there was something unsettling, if not outright nefarious, to be found in Judge Kavanaugh’s background. All have proven to be not only bogus but all for show. In the case of Booker and Harris, they were auditions for a possible 2020 presidential run. Pro-abortion Democrats and their legion of media allies already attack President Trump incessantly. Were Schumer the Majority Leader, it would escalate to another plane of viciousness. #2. We all knew the confirmation hearings would be about fear, fear, and more fear about abortion/Roe v. Wade but not just about the “future of reproductive rights.” About as decent a human being as you will find, Judge Kavanaugh knew (as did everyone else) that Democrats would attempt to turn him into an unfeeling monster. Of course even the most pro-abortion outlets acknowledged this was absurd. As NRLC noted yesterday, Sen. Feinstein’s comments were a gross fabrication. Guttmacher, connected to #PlannedParenthood, has said, “The death toll had declined…to just over 300 by 1950…By 1965, the number of deaths due to illegal abortion had fallen to just under 200” (Rachel Benson Gold, Guttmacher Policy Review, 2003). I am told that Sen. Feinstein repeated the same claim this morning. However about 45 minutes later, she said she’d misspoken and the figures referred to estimated number of abortions, not deaths. HH: You’ve said many times that Judge Kavanaugh will be confirmed, and that your major power is controlling the calendar. So the question is when will he be confirmed? MM: Before the end of September. He’ll be on board at the Supreme Court by the first Monday in October, which you and I both know is the beginning of the October term. HH: Any doubt in your mind about that result? Obama, saying Trump is capitalizing on ‘fear and anger,’ calls on Americans to vote in November. Not to be confused with the “fear and anger” his party is attempting to capitalize on, of course. Former president Barack Obama’s speech in Illinois is his first act in a wide-ranging effort to turn out Democrats for the midterm elections — without energizing Republicans. The whole point–the #1, #2, and #3 objectives of the carnival show Democrats are putting on– is to attempt to use fear and anger to drive people to the polls on November. By contrast we hope and anticipate that optimism and gratitude for what President Trump and the Republican congressional leadership are doing will encourage tens of millions of pro-lifers to go to the polls this November.